This is an important message, not just for Noah and his family; I believe this is the resounding theme of the DockDogs Community. Each of us has a person who reached out to us when we started in this sport. A person you will never forget. Even if it was something as simple as handing you a poop bag when you stood in line and your dog chose the wrong time to relieve him or herself, or the person who got into the pool and helped your dog jump for the first time, or maybe the person who dried your tears when your dog crossed the rainbow bridge, or the person who lit the fire of excitement about dogs jumping into the water. We cannot do this alone, this life thing. This year, we as a community, seek to affirm and clarify our mission and welcome new connections. We believe in the collective power of our community to foster support and reassurance for a child with both immediate and long term physical and developmental needs. 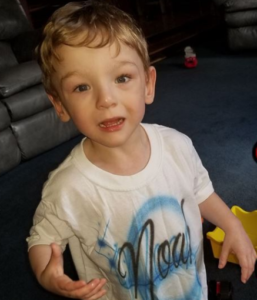 Noah has grown and changed a great deal in the past year. He is walking, or should we say, running everywhere he goes. He wears orthotics, (shoes and braces) to stabilize his posture and balance. Jay says “Noah is a very determined child…if he wants something he IS going to get it”. Speech or Play therapy every day of the week. Each of these disciplines has the same short term goal for Noah; 100% feeding by mouth and improving his language skills. 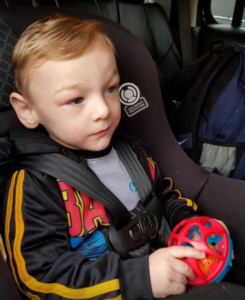 While Noah’s feeding and language development are important for Noah’s immediate future, he also faces other hurdles in his life. 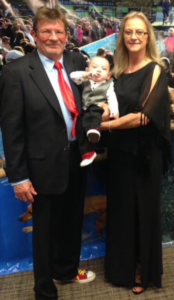 Deb estimates that he is developmentally about the age of a 15 to 18 month old toddler. He babbles, enjoys watching visually active cartoons and though he puts everything in his mouth, he rarely swallows! He loves to play with soft toys and his Tupperware shape sorter, but his very favorite toy is a BALL. It really doesn’t matter to Noah what kind of ball, any type, size or color will do just fine. 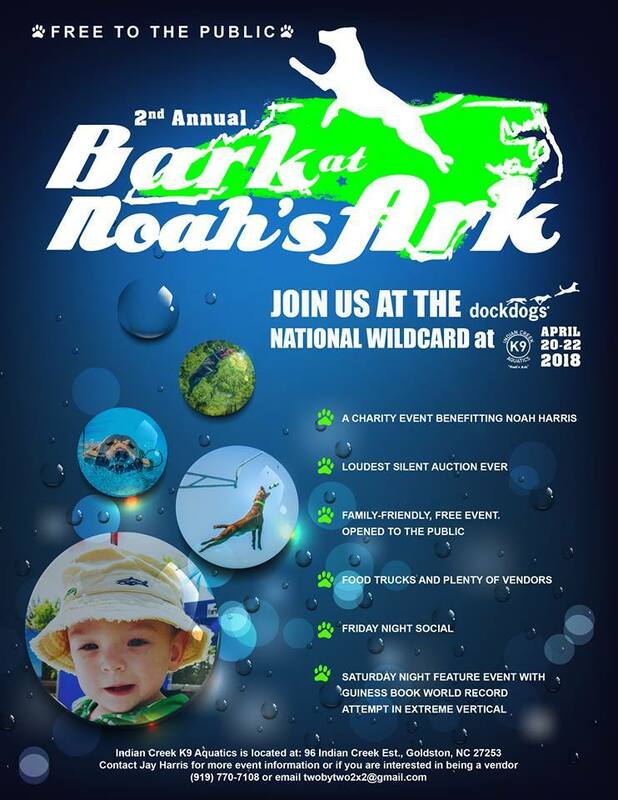 The Second Annual Bark at Noah’s Ark DockDogs event will be held to support, primarily, Noah’s long-term goal of living a strong and independent life. We hope you will consider joining us by attending this Grand event and being a part of the celebration of our journey in this life together. If you cannot be in attendance, please join us from afar by viewing and participating in the Loudest Silent Auction Ever. We hope that this event will be bigger and better than last year’s, and a preview of many more to come in the future. We cannot do this alone, this life thing. Onsite camping is AVAILABLE for this event!